I actually finished this Tuesday, and somehow now it's Friday, and again I'm behind. Again. But I guess I'm also kind of ahead of the game since this is going to be a gift for friends we're visiting in Toronto in April. Watch me start quilting it the night before we leave!! I love that this quilt along was so spontaneous, so no pressure. I love that it finally made me click with instagram (I'm chelseafr). I wish it had put more of a dent in my un-loveds. Maybe a scrap vomit is in my future? Not that I'm saying any of these fabrics are particularly ugly. (Not that Amy Butler or Lizzy House et al are reading this and will get offended). I'm just kind of over them. At least they can be used unlike lipsticks I'm bored of. Why did I ever think frost was a good finish? 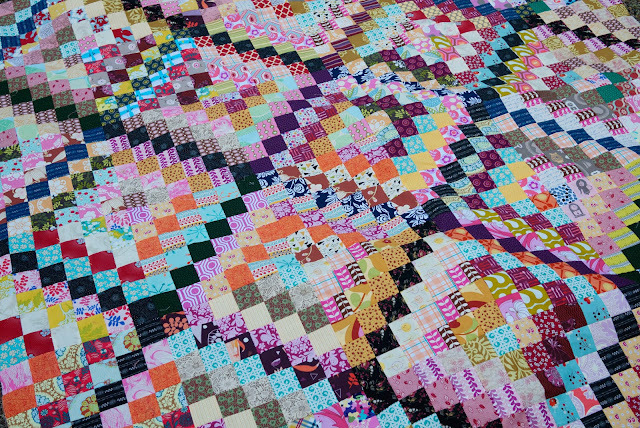 And because I love it so much, here's a sneaky peek of a quilt I'm quilting for Katie. So much yummy grey to fill with quilting! Gorgeous scrappy trip! I love the quilting sneak peak, too! Gorgeous stuff. The quilting on Katie's quilt is AMAZING! Very cool, and loving the look of that quilting! What fun! I've just finish making one too - and it won't be my last! I've just followed you on Instagram - I hadn't realised you were over there too! Oh nice!! I must find you on instagram...I'm enchantedbobbin, surprise surprise! 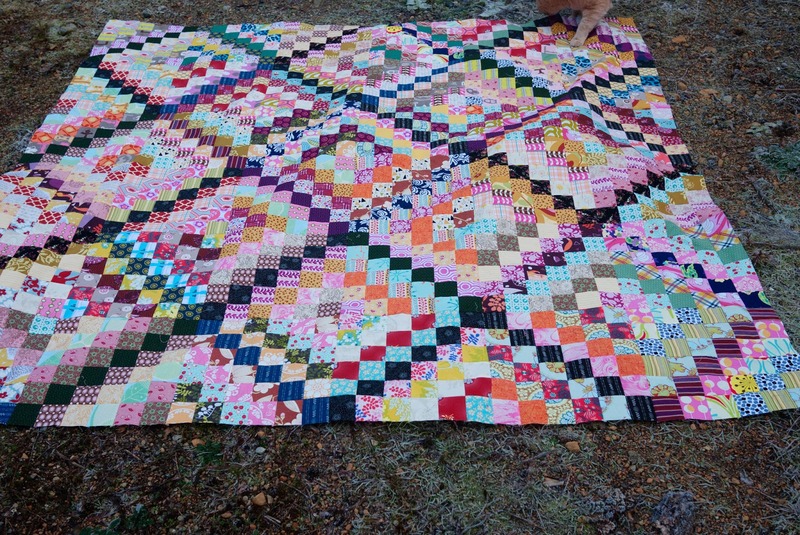 regardless of the particular fabrics, the overall effect really shows off why this quilt-along made sense! If I can hold out the weekend without starting one of these suckers, I might be able to hold off the wave. This is too pretty. I'm doomed. it's beautiful, and it's making me want to get on with mine RIGHT NOW!!!!! Your scrappytripalong is lovely and I'm following you on ig! The scrappy trip is lovely, mine is having some attentions tomorrow. I love how you have used dark colours through the middle of the blocks so it gives the diamonds form. I'm now going to do that with mine. Thank you for the inspiration! I love your scrappy trip and am completely in the same boat with using those 'unloved, over-it' shelf-space takers that just need to get sewn into something! 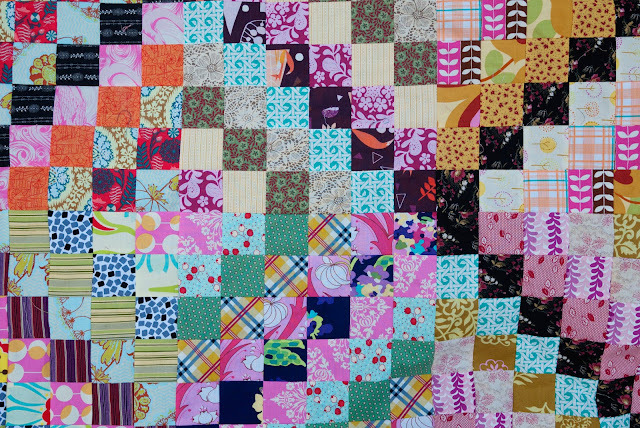 I'm part way through sewing blocks for scrap vomit and it feels GREAT and AMAZING to be having so much fun with fabric I was ready to give away. I have thousands of 2 1/2" squares. I've already sent two lots of 50 off to swap, so if you want to swap with me, just say the word and I'll send 50 or even 100 your way! It's really beautiful and a great use for those scraps we are tired of. It is a great size too and I love that shot with your gorgeous dog. 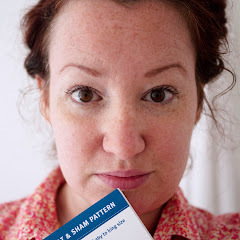 This is one of my favorite versions of this pattern! I love how it's scrappy, but there is still a sense of order to the placement of value. Absolutely gorgeous! Love your quilt! And way to use all of those fabrics that you just don't love anymore. 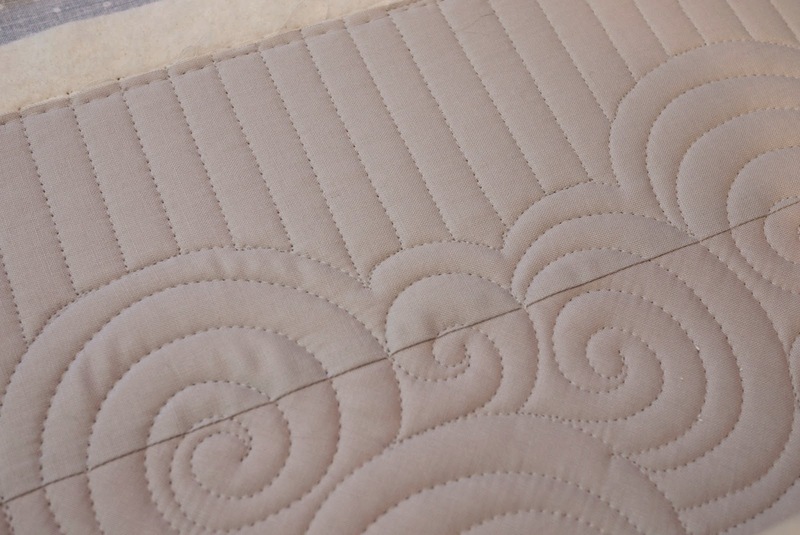 Beautiful quilting on Katie's quilt too. So, is your dog a Chessie? 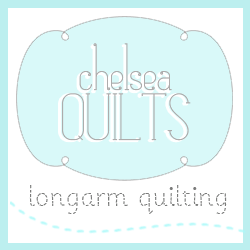 I only ask as we've had one for many years and they do blend well with most quilt patterns! A really nice quilt too. This is so wonderful! 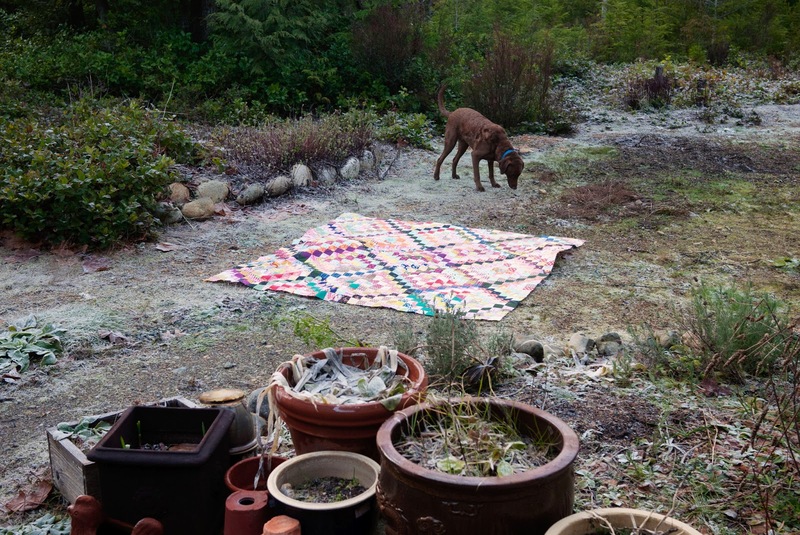 Love your scrappy trip quilt! If you do decide to do a SV quilt (and you should, because it's awesome), I will happily send or trade you LOTS of squares.